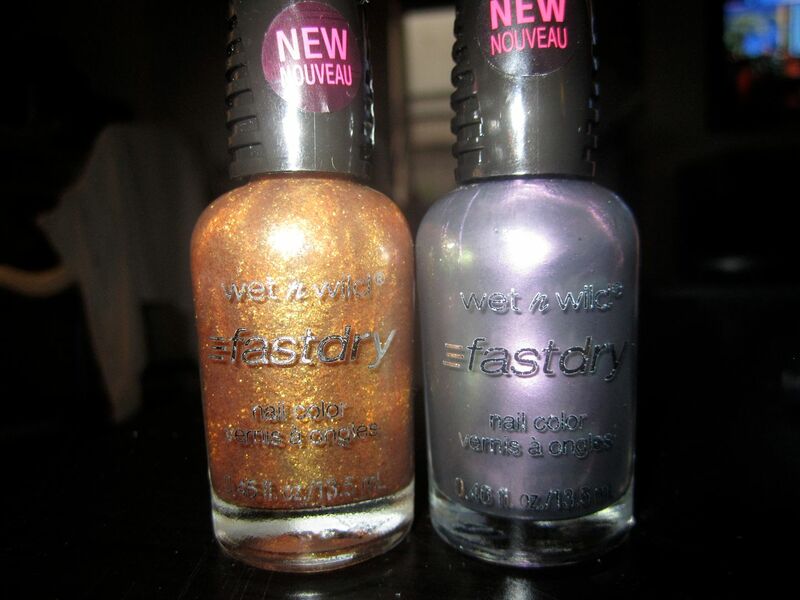 So I thought about playing around with my blue and green nail polish I had at home to create a cosmic nail effect but when I went to Rite Aid today to pick up nail polish remover I found these two Wet 'N Wild colors: The Gold and the Beauty and Gray's Anatomy. How could I pass these up! Gray's Anatomy has the perfect cosmic effect to it-- purple and greens and The Gold and the Beauty I thought would give it the glitter (star effect) that it would need. Well hot damn I was right! Step 1. Paint on the Gray's Anatomy. Make sure to do TWO coats. Step 2. 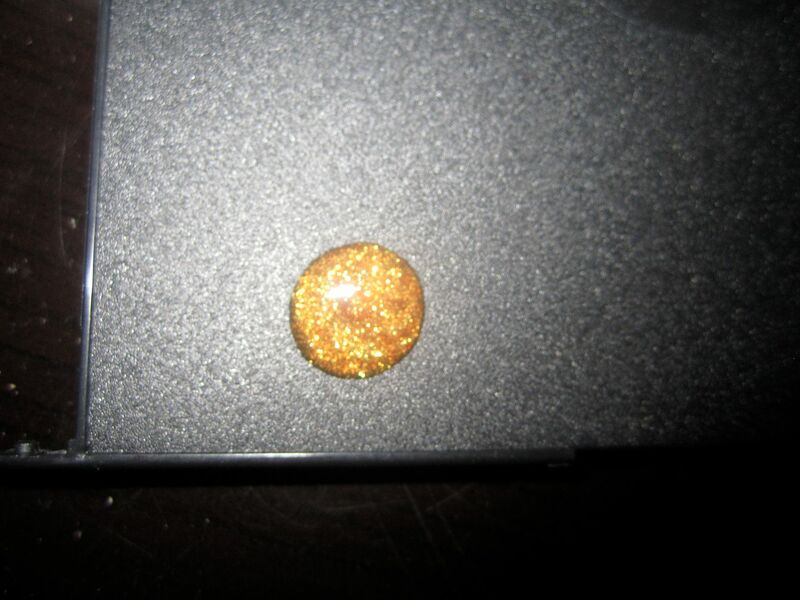 Wait for the nail polish to dry and then pour out the Gold and the Beauty on to your hard surface. 3. 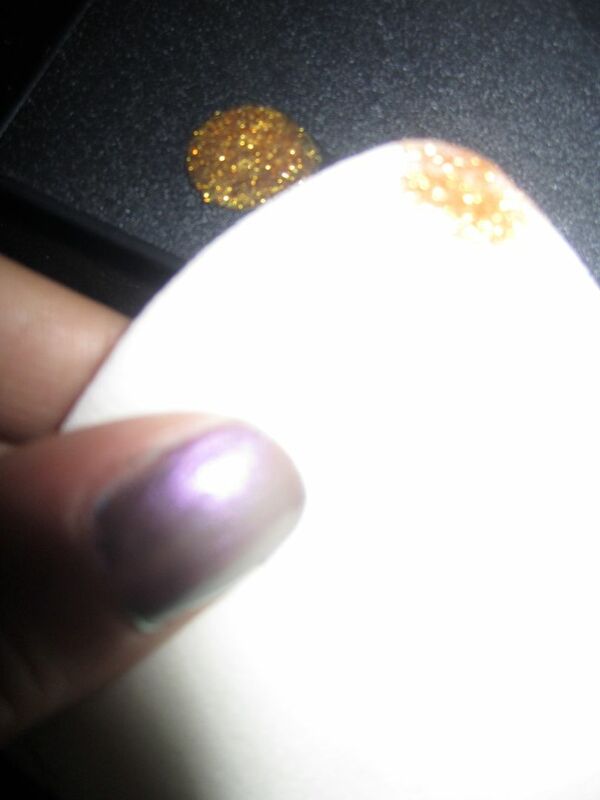 Take your foam make-up application pad and lightly dip it into the nail polish. Then lightly dab it on your your nails. You only need to go over your nails once. 4. 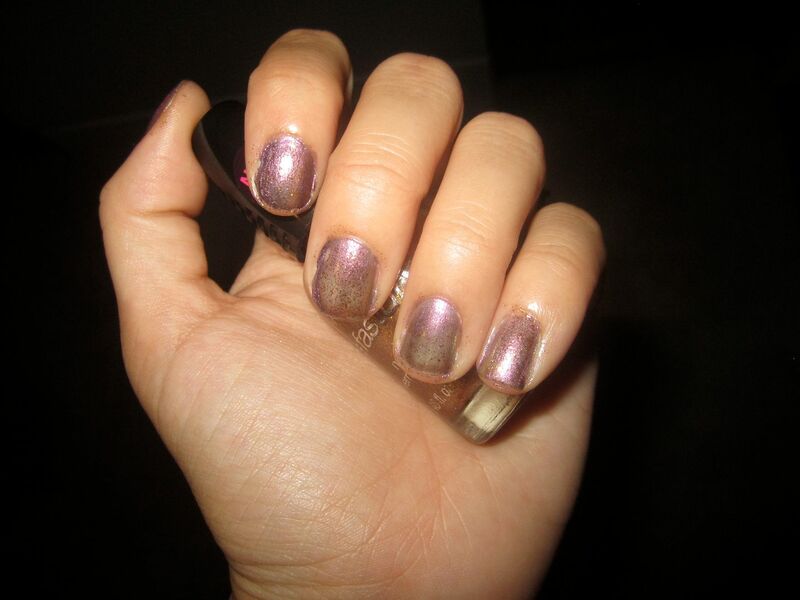 Once you dab all your nails with the gold nail polish take your top coat and go over your nails once. 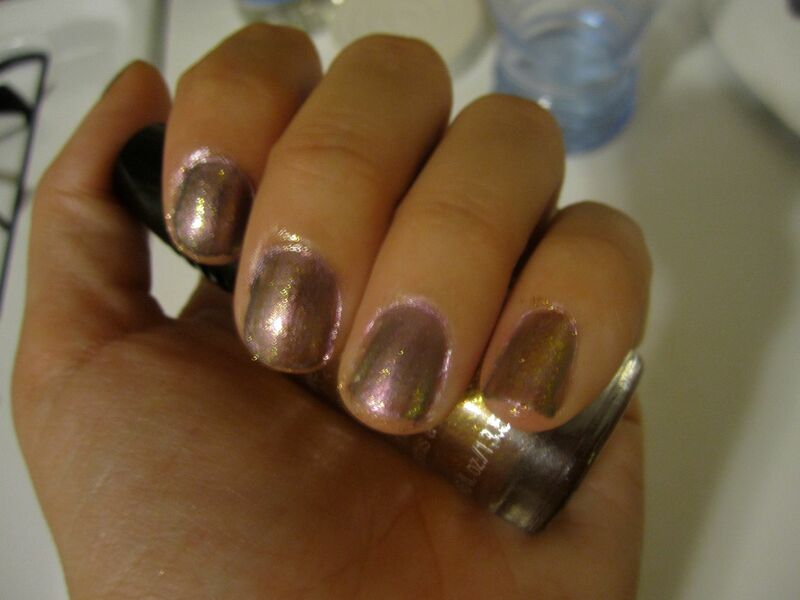 This right now is probably my favorite nail polish that I have done....besides my ombre nails! What do you guys think? Haha, I love your idea! It looks really great! its weird about this cosmic trend because I saw it once on lookbook back in may it got amazing number of hypes then a month later it's everywhere on lookbook!! Love it!! The pieces you pulled together for the inspiration board are amazing!